This is a cake stand specially made for 'Fine Goods'. This can at least be read in the engraved text on the side of the wide plateau. The plateau has a small but firm base on which the large tray rests. 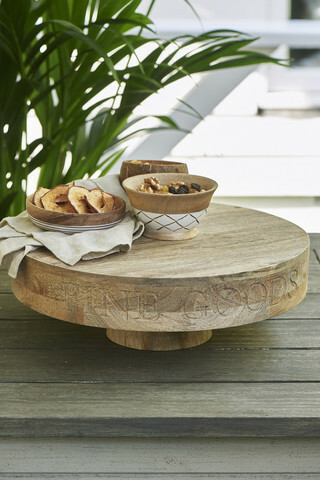 The stand is made of mango wood and has a diameter of 38 centimeters.